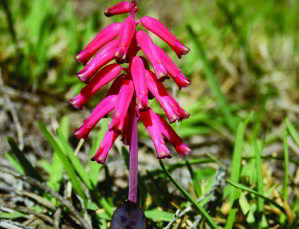 Bulbous plant with 1 or 2 leaves, green or spotted with pink or red nodding flowers in June and July. Inner tepals much longer than outer ones. 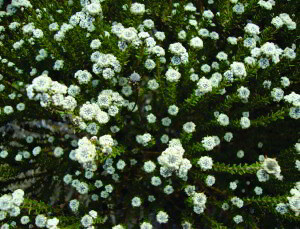 Thorny shrub of up to 2m, flowering from July to October. The red berries which appear towards November are edible. 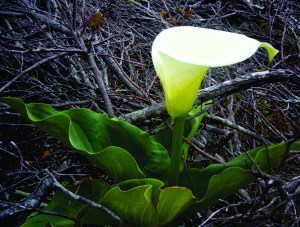 The striking white “flower” is not a true flower, but a spathe. 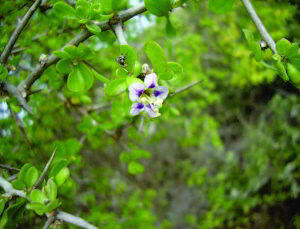 The true flowers are the yellow spikes: Male flowers at the top and females below. They flower from July to September.